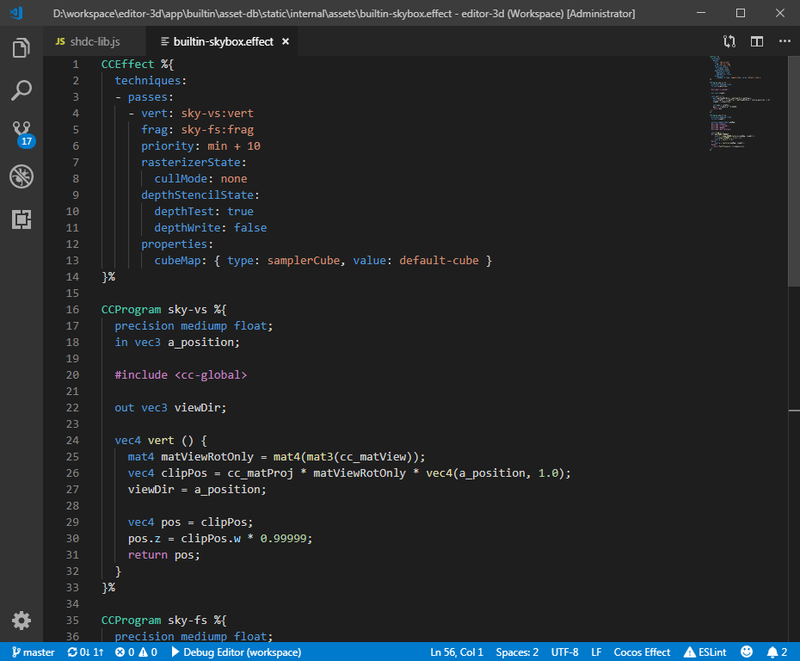 Visual Studio Code>Programming Languages>Cocos EffectNew to Visual Studio Code? Get it now. Provide syntax highlight support for Cocos Effect file in VS Code. Initial release of the Cocos Effect extension - a simple syntax highlighter.